Okay, okay, that title is a bit of a stretch but it’s all I’ve got right now. It’ll make more sense with the story below… but back to business. 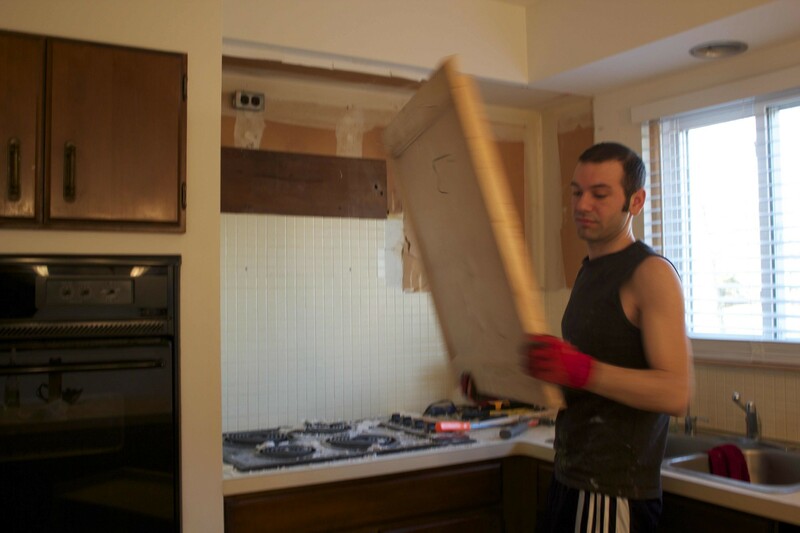 Shortly after tearing out the microwave (and the odd looking soffit that went along with it) we got to work pulling out the last wall cabinet. Katie went ahead and emptied the entire cabinet during the day. Later that night I unscrewed it from the wall and ended up stepping away for a minute (mostly to run to the bathroom and tap a kidney) and when I came back, Chestnut (@chestnutthecat – yes, he has a twitter handle. Don’t judge.) had setup camp. 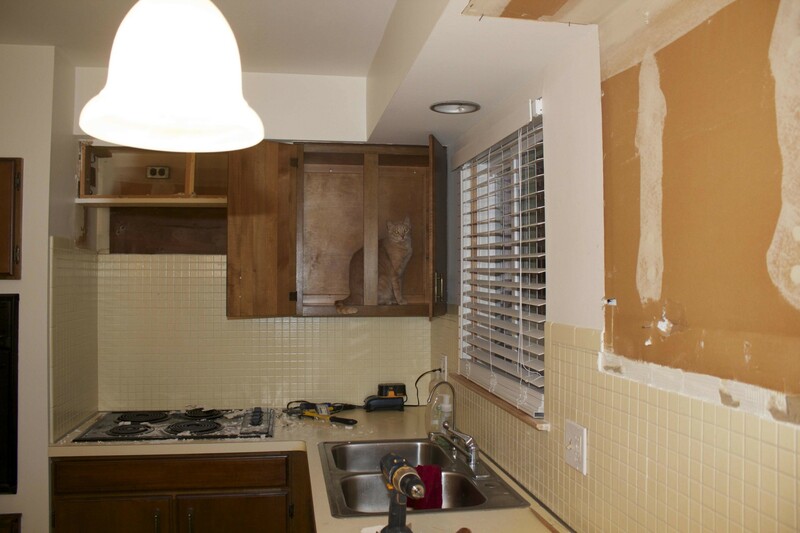 Eventually though, Chestnut caved, and the cabinet came down as planned. 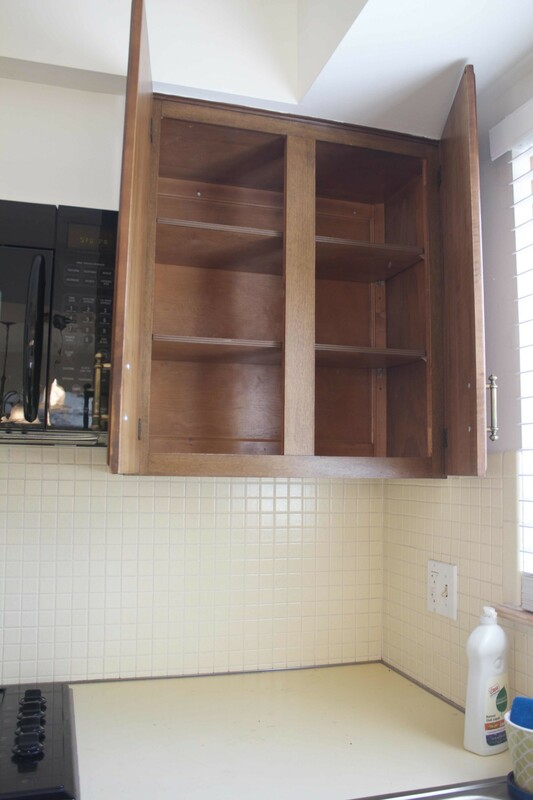 Now to remove that dern stovetop. Tomorrow friends, tomorrow. Don’t forget to check out the other parts of this journey. It might help the story you just read make a bit more sense: The First Plan, The Revised Plan, The Delivery, And So It Begins. peaked my interest. I will take a note of your site and keep checking for new information about once per week. Chestnut is sooo cute! Does he shred the furniture with his claws?